Six years ago, a dear friend of mine (let’s call her Lisa) bought me a book for my birthday. Quite some time later (sorry, Lisa) I needed something to read, and this was the only thing in my house that I hadn’t yet read (sorry, Lisa). So I opened the book and started reading. A sleep-free six hours from that moment, I finished. Thanks, Lisa! Here is my review. Edie Burchill and her mother have never been close, but when a long-lost letter arrives one Sunday afternoon with the return address of Milderhurst Castle, Kent, Edie begins to suspect that her mother’s emotional distance masks an old secret. Evacuated from London as a thirteen-year-old girl, Edie’s mother is chosen by the mysterious Juniper Blythe, and taken to live at Milderhurst Castle with the Blythe family: Juniper, her twin sisters and their father, Raymond, author of the 1918 children’s classic The True History of the Mud Man. In the grand and glorious Milderhurst Castle, a new world opens up for Edie’s mother. She discovers the joys of books and fantasy and writing, but also, ultimately, the dangers. Fifty years later, as Edie chases the answers to her mother’s riddle, she, too, is drawn to Milderhurst Castle and the eccentric sisters Blythe. Old ladies now, the three still live together, the twins nursing Juniper, whose abandonment by her fiancé in 1941 plunged her into madness. This book is a slow burn. Yet, somehow, it’s also instantly compelling. I took a while to really get lost in it, but it didn’t take long for me to know that I was seeing it through to the end. The Distant Hours is written in both first and third person, and switches character focus, but for the most part it follows Edie (in first person) and her discoveries about her mother (and their mostly strained relationship), Milderhurst Castle and the Blythe sisters. We follow Edie in the present, we follow her into the past, and we discover things alongside her. But we also discover things she never will; we learn more than she does about the past and the Blythe family. We learn how all of the seemingly disparate stories and character decisions fit together. We learn about secrets. Lots and lots of secrets. We learn about love. And we learn about tragedy. There are some stomach-dropping moments in the book, and it’s hard not to feel the heartache yourself. My husband at one point asked what I was reading, and why it was doing weird things to my face. Some aspects of The Distant Hours (Edie’s departed sibling, her failed romance) are interesting-but-unnecessary-to-knows, and Morton loves to use 100 words where 50 (or even 12) would do. But nothing will stop you continuing to turn those pages. Nothing except running out of them. The kitchen settled in a bruised silence around her absence and I stayed very quiet, moved very slowly, so as not to disturb it further. I’d have felt sympathy for her, caught as she was in a fantasy world, except that she wasn’t at all the sort of person who engendered sympathy. A sensation similar to that when a person stands right on the precipice overlooking a great height, when the knowledge that one must not jump is so strong that an odd compulsion almost overtakes one, whispering that to jump is the very thing that must be done. She says there are stories everywhere and that people who wait for the right one to come along before setting pen to paper end up with very empty pages. The Distant Hours is a fascinating read that you can undertake in one (long) sitting or dip in and out of. Recommended for those who like to lose themselves to another time and another place when they read. You can purchase The Distant Hours from Booktopia here, or from Book Depository here. Have you read The Distant Hours? What did you think? * The links in this post are affiliate links. If you click to purchase the item, I earn a little commission, but you don’t pay any extra. Sounds like a good read. A nice surprise no doubt. A very nice surprise! This book inspired me to branch out from my usual book themes. Yes, I’ve got this one and The Secret Garden – both very much enjoyed. I see there is a new one out reasonably recently so I’d like to have a go at that one too. Actually, turns out I was wrong – I have The Shifting Fog and the Forgotten Garden so this is in fact the new one I haven’t read yet. Oh, good! There is a new one out now called The Lake House. 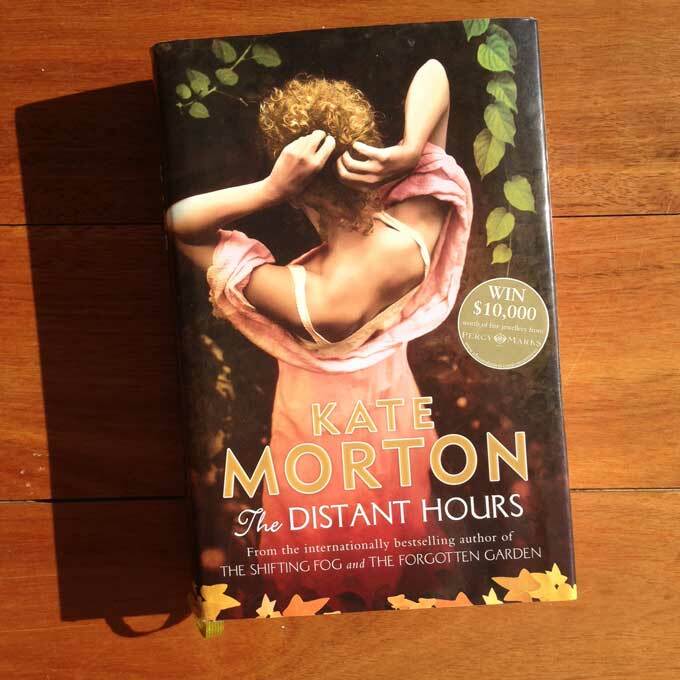 I think The Distant Hours was her third book – my friend bought it for me six years ago. This one has more than a few! And some stay secrets for the characters in the book, but we get to know them. Go us! Sounds like a great read. Maybe one to add to the towering to read pile. Now if only I could stop borrowing library books as well.. I hear you! I just hit the maximum renewal for some of mine and have to take them back! I haven’t read any of Kate Morton’s books but I’ve heard so many good things. You’ve reminded me to put her back on my reading list. Thanks! Sounds intriguing! 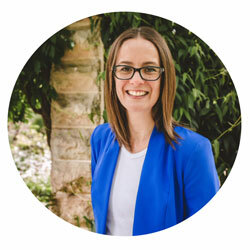 Kate Moreton has a new one out, doesn’t she? It’s been advertised everywhere! Haven’t read any of her books but I’ll go and check her out on my Kindle. Yep, the new one is The Lake House. Seeing that advertised reminded me about this one, so I dragged it out again to remember why I liked it so much. LOVING the book reviews in today’s linky. And I was surprised by how much I liked historical fiction and the genres spawned from it. Always happy for another suggestion. I was surprised too! I quite like learning about the past through fiction – I just have to remember to work out where the facts end and the fiction begins!